Well would you look at that! 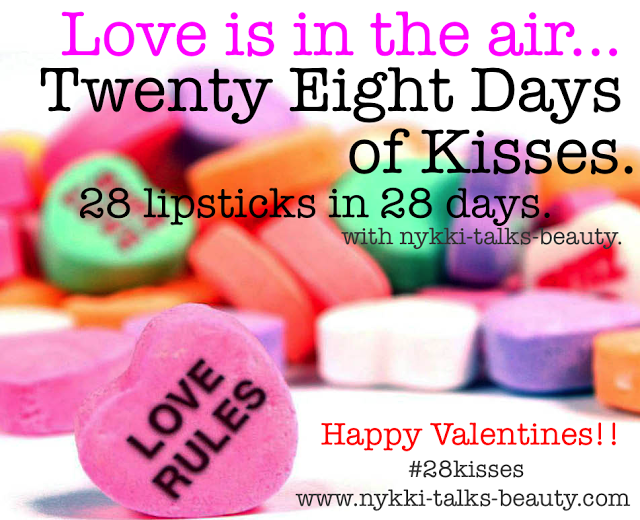 It’s the 18th and this is the 18th Lipstick Tag Post! I’m right on time! What? No I never missed one this week! Says who? (OK OK I may have had to play catch up with two posts yesterday :) READ HERE) hehe. 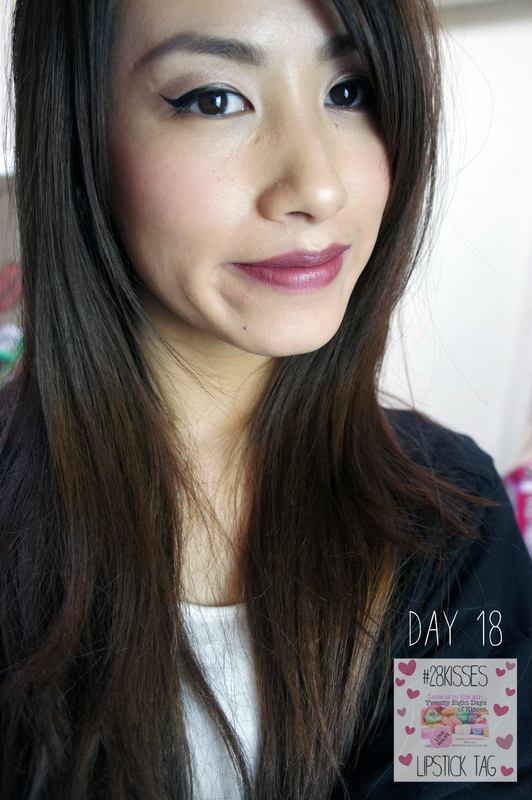 So Today I have another KIKO Lippie to show you! It’s one I hardly wear not because I don’t like it but its just one of those lippies that gets neglected until I feel in the mood for it lol! I’m glad I picked this one up today as it’s the perfect berry shade that fits quite nicely for the wintery weather! The Kiko lipstick I am sporting Today is no. 09 Grape Juice Pink a lovely berry/plum colour with a slight hint of pinky flecks! Keeping these posts short and sweet guys for both mine and your sanity lol! 18 lipsticks and stil 10 yet to come lol! 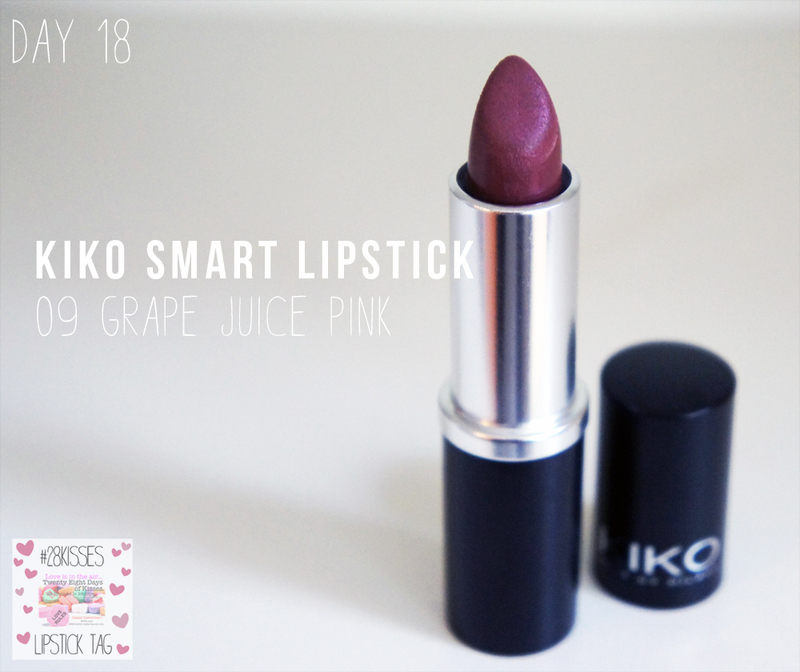 Tags: #28KISSES, 09 GRAPE JUICE PINK, KIKO Cosmetics, lipstick. Bookmark the permalink. this colour is gorgeous and it suits you really well!